We think it is safe to say that everyone is excited to see some warmer weather in the forecast. Spring unlocks a whole sea of fun adventures that you and your kids can enjoy together. NO matter what your family is interested in, Racine & Kenosha can deliver! We don’t often think of our little communities as packed with fun, but if you do a little searching, you can uncover some real hidden gems! Here are some of our recommendations for fun things to do in Racine & Kenosha this spring, that your child will be so excited to tell us about when they come to daycare! 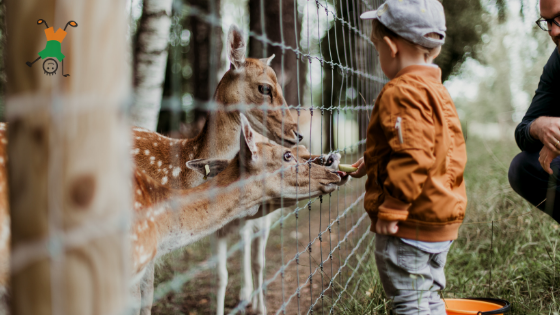 The perfect adventure for your animal loving little one! The Racine Zoo is a perfect weekend trip to explore many species of animals that you would normally have to travel all the way to Milwaukee to see. With an incredible amount of activities and programs for kids, it makes it the perfect place for your child to learn and have fun. Children under 2 years old are completely free and tickets only cost between $6 – $8. I think we can all agree that kids ask A LOT of questions. The Kenosha Public Museum is perfect for that little inquiring mind. With their Field Station, which gives kids the opportunity to get an up-close look at fossils, insects, and shells, your child will have the opportunity to use their noggin in new ways and learn all sorts of new and exciting things! It is always an amazing thing to see a child learn something new! If you really want to get out and stretch your legs, Petrifying Springs Park in Kenosha can be a full day of fun! The park is over 360 acres large and has miles and miles of trails for your child to experience everything nature has to offer. You might have to deal with a little mud during the spring, but that just adds to the fun. And parents, once summer comes, The Petrifying Springs Biergarten is the perfect combination of fun for parents and kids! So which one of these activities is first on your list of fun things to do in Racine & Kenosha this spring? These are only 3 of the many exciting things that Racine & Kenosha have to offer for families and kids. Whether you realize it or not, our little area is packed full of things to do and ways to enjoy the spring. What are your favorite activities? We would love to hear them! While everyone gets excited for this time of year as the temperatures start to rise and the sun starts shining longer, something we don’t look forward to is those brutal seasonal allergies, especially for your children. Allergies can be tricky for children and can make the process of taking them to daycare a little more difficult. In Racine and Kenosha, we get hit hard with the pollen from trees, grass, and flowers that can leave you and your little one feeling just gross. So, what do you do? If your child is suffering from allergies you can’t just keep them from daycare every single day, but at the same time, you want their experience at daycare to be enjoyable, not miserable. This is an obvious place to start but it is by far the most important! We aren’t doctors here, so speaking to your doctor will allow you to get the most accurate information possible and help you identify exactly what your child is allergic to. They will be able to give you recommendations about medications and maybe even give prescriptions in extreme circumstances. This will make treatment a lot more effective and have them feeling back to playing form in no time! Especially if we get outside to play. Teaching your child the importance of washing their hands can make a huge difference in their symptoms. 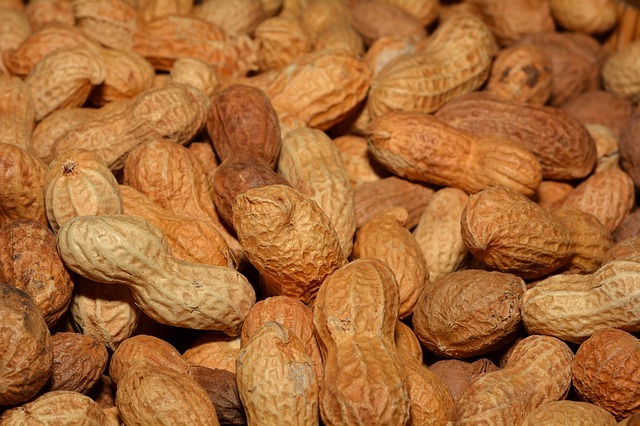 You know as well as anyone that child hands touch everything, including surfaces and plants that they might be allergic too. By having them wash their hands right away, you can prevent pollen from entering sensitive areas like the eyes. This should help greatly reduce symptoms and make them feel much better. We can try our best to make some accommodations, especially for those children that suffer from the most severe of allergies. By letting us know in advance, we can help make smart decisions about outside time and be prepared to help in any way possible! Allergies are just a tough reality of springtime here in Kenosha and Racine. Hopefully, with these tips, you can have your little ball of energy feeling back to their normal selves and ready to have fun at daycare – which is much more fun for us as childcare providers as well! The big day is coming soon! You have decided to enroll your child in daycare for the first time. I think we can all say we are excited to see them! But we understand it can be a little bit of a stressful experience for you and your child. This might be the first time your child has been away from you for a significant amount of time or maybe it is the first time that they will be playing and learning with a bigger group of their peers. Thankfully, there are ways you can make the transition a little bit easier for your child, so they can adapt quickly and start to enjoy all of the new things they are going to experience even sooner. 1) Make changes to your schedule right away. Don’t wait until the last minute to help your little one get into their new routine. Make sure to start waking them up a little earlier, getting them ready for their day right away, and putting together a schedule similar to what they are going to experience when they show up for their first day. Even sending them off with another parent or family member for the day will help with separation when the day comes! 2) Talk about how much fun it is going to be! Make sure to talk about how big of a BLAST it is going to be to come and see us every day! We post a lot of the cool activities and games we play with the kids on Facebook, and showing this to your child will help them see what the other kids are up to. This will help ease any concerns they might have, and get them excited to join in on all the fun! 3) Give yourself a little extra time in the beginning. Especially if this is your first child, you are going to do a little bit of learning. In the beginning, make sure to allow yourself a little extra time to make sure you don’t forget anything. Make sure to pack everything up the night before so it is not a crazy scramble in the morning that is going to have both you, and your child stressed out! Make a list, check it twice, and give yourself a few extra minutes! 4) Try not to hang around, even on the tough days. This is going to be hard, we won’t lie to you, but the best thing you can do is leave and let your child begin to figure out his or her new world. They will be just fine, we promise! If you want to stick around for a little bit the first few days and just make sure, be our guest, but make sure after a few days to let your child be. They are amazing, after all! 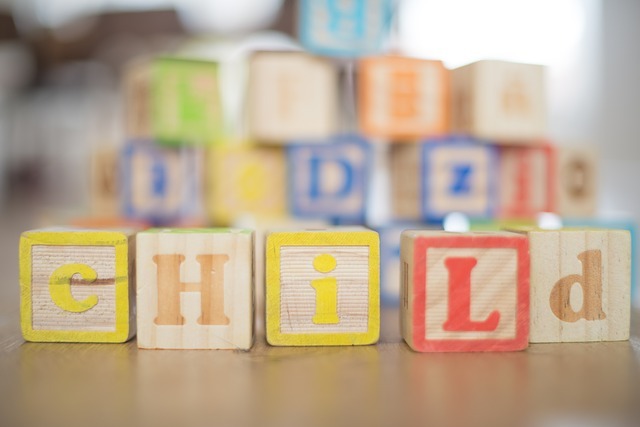 The first few days of childcare can be stressful and everyone’s experience is just a little bit different, but with these little pieces of advice, you can make sure your child has the greatest chance for success in adapting to a new place and new people. The sooner they do, the sooner the fun will start! What’s the Ideal Child-to-Caregiver Ratio for Daycare? Should You Choose A Daycare Near Work Or Home? Searching for the best daycare provider is one of the most stressful things a parent can do. And rightfully so! You are trusting a bunch of people that you do not know to make the smart decisions for your child and get them all the things that they need. 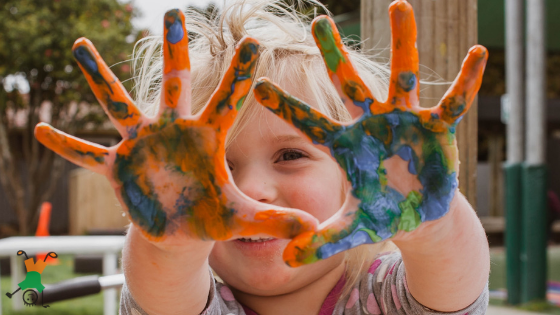 It is tough to give up that control, which is why it is so important to find a childcare center where your child is going to have lots of fun, learn and grow, and be in a safe environment so you do not have to worry throughout your day. There are a lot of things to consider, but where do you start? How do you know where to go when there are so many good daycares in Kenosha to choose from? Does someone always answer the phone? When you start looking for a child care center, you are probably going to start making a few calls to schedule tours and talk to the staff. When you call, take a note on who answers the phone, how quickly they answer the phone, and how quickly they get back to you. There are going to be times, especially if you are leaving a child for the first time, that you are going to want to check in and see how things are going. You will get a good feel for the responsiveness you will receive if you were to choose that center! Is the staff friendly and do they answer your ridiculous questions? 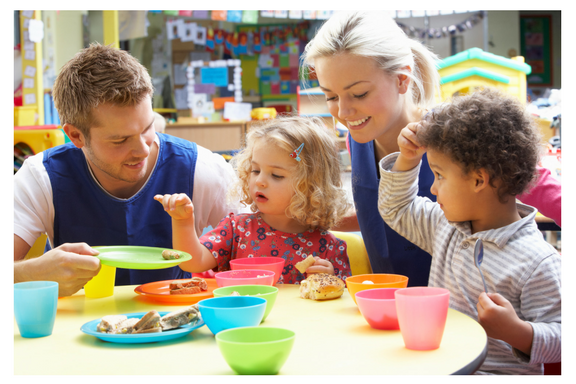 The best daycare staff is there to make sure that your little ones are having fun and having the best experience possible, but they are also there as a resource for you! There are going to be times you have questions that you think are silly or kind of… well weird. If the providers are patient with you and your questions, you can rest assured that your child will be in the hands of caring and patient people that will give your child the best daycare experience. I’m sure you’ve already done this, but there are plenty of places online to find the best daycare in your area. Real people leaving real reviews like these should be helpful in your decision-making process! You always know what is best for your child. Parents have a special connection with their kids and can sense when a place is going to be right for them. I have seen it first hand – it is like a sixth sense! The last step is to consider what your gut is telling you about the care that your child is going to receive. This is a very important decision and you need to make sure you are just as comfortable as your child will be. So take your time, evaluate the options, and make the choice that is right for you! There are many things that go into picking a place for your child. With all the Kenosha and Racine area daycares, it can be tough to evaluate it all. Obviously, things like costs, location, and age limits are very important things to consider when making a choice, but it can be the way you are treated or the gut feeling you have that will make the ultimate decision. Trust those feeling and make sure you give your child the place to nurture them and help them grow! We were taught from an early age that ‘sharing is caring.’ We know that we are supposed to share what we have with other people, and every person would like to share easily. However, the reality is that sharing is hard, even for adults. Therefore, you can imagine how harder it must be for children who do not understand why they have to give their toys to other children to play with or why they need to share their delicious snacks and cookies. We see this all the time at our Kenosha daycare. It is never too soon to teach your child adaptive skills or about sharing. Start as soon as you can. Start now because there is nothing to wait for. Provided your child is old enough to grasp something, use it as a learning moment. Let him or her hold the object then ask him to pass it to you then give it back to him and ask him for it again, and the cycle continues. Your child will understand that it’s important to take turns to have something. What you do will stick in a child’s mind better than what you tell them. Therefore, if you want to find out how to teach a toddle to share, you need to lead by example share yourself. An example of how you can go about this is by telling your child to share your couch with you, and then you can have fun cuddling. You can buy an ice-cream and then give them some. Better still, you can share with other people who are not your family members. Your child will also spire to do what you do. While doing these things, it is vital to slip in the word ‘sharing’ so he can know what you are doing. It may be frustrating when you see that your child doesn’t want to share with others. However, this doesn’t mean that he’ll grow up to be a selfish human being. It just means that he’s a child at that moment. It can sometimes take multiple years to truly understand what sharing is so let them act their age. This does not mean that you should encourage them. The best thing is to tell them you are disappointed with their decision of not sharing and that it makes you sad to know that they don’t want to share. Don’t make a fuss out of it. Part of being a parent is learning to ignore some struggles. 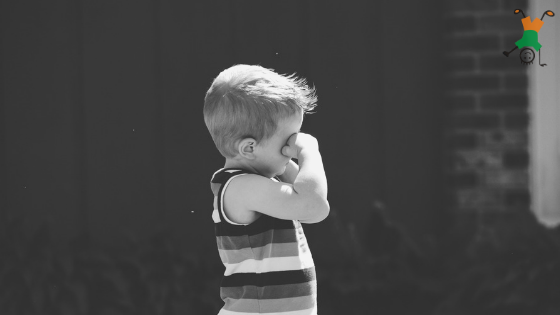 No child wants to make his parents feel sad and disappointed. Therefore, your child will find a way of correcting their behavior. The next time you might be surprised to see them sharing without you asking him to. When your child shares something with someone else, make it a learning moment. Praise him or her for it and not just general praises like telling him that he is a good boy but the kind of praise that shows him what he did great. For example, you can ask them if they noticed the big smile their friend had when they gave them a particular toy. You can then tell your child that sharing his toy with his friend, made his friend happy. Naps are an important part of a child’s development. A newborn baby will nap and sleep throughout most of the day and evening. Then, after a baby is 4 months old, he or she will need two separate naps throughout the day. Your baby will need one nap in the morning and one nap in the afternoon. Then when a baby grows to a toddler, he or she will need just one nap during the daytime. This nap is typically during the early afternoon and sometime after lunch. This nap can range anywhere from 20 minutes to 2 hours. Both newborns and toddlers respond very well to routines. Your best bet for a successful nap for your toddler every day is to put your son or daughter down for their nap at the same time each day. You will find a time that works best for your schedule and for your child but we often find that sometime soon after lunch is a good time for a nap for a toddler. You want the room and the bed or crib your toddler naps in to be the same room he or she sleeps in at night. This will help set the expectation that this is the time for quiet and sleep. If necessary, run a white noise machine or a floor fan to drowned out noise from other rooms in the house and dim or turn off the lights in the room as well. If your toddler still needs a pacifier, he or she will probably want one for their naptime as well (Read: How to Take Away Your Toddler’s Pacifier). 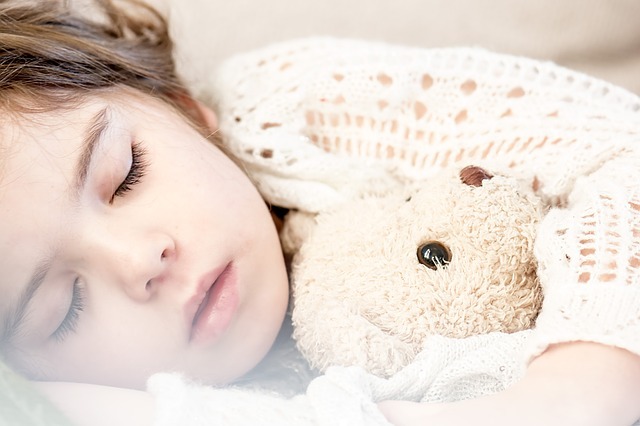 You have probably heard of the Ferber Method for helping children fall asleep. This method recommends that for both naptime and bedtime, a parent put their child in their crib or their bed when they are still awake. Don’t wait until your child has fallen asleep somewhere else and then move them to the crib. This method does involve some patience on the part of parents as children might first cry when left in their bed or crib alone but over time the child will learn to soothe themselves to sleep and this will be better for everyone in the long run. It is not recommended for a toddler to nap much longer than 2 hours in the afternoon. If a toddler naps well over 2 hours it could disrupt their schedule for the remainder of the day and it might also prevent them from falling asleep on time during the evening bedtime routine. Cornerstone Academy daycare in Kenosha, WI offers a soothing environment for naptime for toddlers. We feel naps are an important part of a toddler’s routine and do our best to create a relaxing space for them at our location. This is an important question because you want to be 100% certain your child is receiving the proper care and attention during their time at a daycare Kenosha location or preschool. If the staff members in the facility are overworked, it will be impossible for them to provide the necessary focus on your child in a day. But, what is a good ratio? Ideally, there would be one caregiver for one child but that is rarely the case for most preschools and daycares. Therefore, we have provided the perfect child-to-caregiver ratio for each age group in order for you to have an understanding of what a good answer would be when you ask about the ratio of staff to children. Wisconsin state requirements are one child care staff member per four newborn or infant children under 15 months old in a daycare. The WI DHFS feels that one staff member should be able to coordinate feeding schedules, naps, diaper changes and other basic newborn needs throughout a day without much help from additional staff members. The WI DHFS recommends the same child-to-caregiver ratio for toddlers as it does for newborns and infants. There should be one staff member assigned to every group of six to eight toddlers. A toddler is a child between 18 months and 30 months old. The caregiver will need to be able to help children to go to the bathroom, prepare snacks and meals, coordinate naps and schedule one or two activities throughout the day to stimulate the children. Children ages 4+ in preschool only need one child caregiver per every 17 children/students. This is because there is the expectation that a 4-year-old child will be better behaved than a toddler or an infant. The expectation is the child will listen to directions, be respectful to the teacher and other students and be able to use the bathroom by themselves. Therefore, it is the recommendation of Cornerstone Academy in Kenosha, WI that the daycare you choose for your child offer the child-to-caregiver ratios we have provided above that have been approved by the WI DHFS. If the daycare you tour doesn’t staff enough caregivers to meet these recommendations, you should continue to interview and research other facilities near your home or job that would be better prepared to care for your child and provide them the necessary attention to foster growth and ensure safety and comfort. To learn about the child-to-caregiver ration at Cornerstone Academy and our current enrollment opportunities, contact us online or call (262) 552-5368. 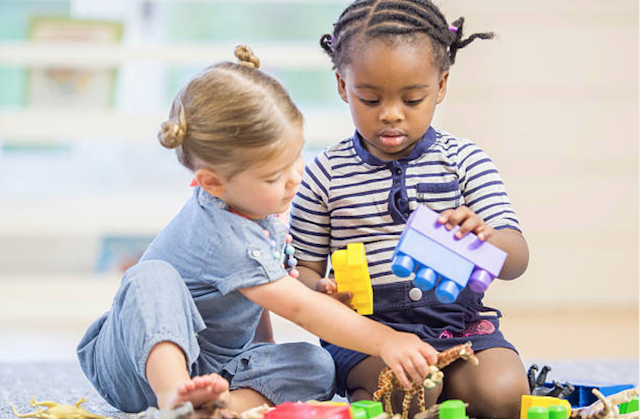 For most parents, the location of a daycare is one of the primary factors in determining where to send your son or daughter for child care in Kenosha, WI. Parents will often choose a daycare either near their home or near their workplace in order to drop off and pick up their child on the same route as their work commute. But, should you choose a daycare near work or home? This is a very common concern for parents when researching the best preschool or child care center for their child. Who Will Drop Off & Pick Up Your Child Most of the Time? If the plan is for one parent to do the majority of the dropping off and picking up at the daycare then that parent should choose a location most convenient for them, whether that is near their work or near their home. It could be that none of the daycare near that parent’s business are a match in which case that parent will need to compromise and choose a daycare closer to home. How Far is Your Work from Your Home? If it is a very long commute to and from work every morning, you might want to choose a daycare near your home instead of near your work. The reason is, if you call in sick to work or unable to go to your office for any reason, it will require your spouse to drive all the way to the daycare near your job instead of just driving to a daycare near your home. He or she can then easily pick up your child at the end of the day as well. Another reason a daycare near home is convenient is if you forget to pack something for your newborn or toddler and need to return home quick to retrieve it. This will be much easier if the daycare is by your house and not your job. Does Your Work Require Constant Travel? The amount of travel your job requires is important in determining if you should choose a daycare near your office or place of business. 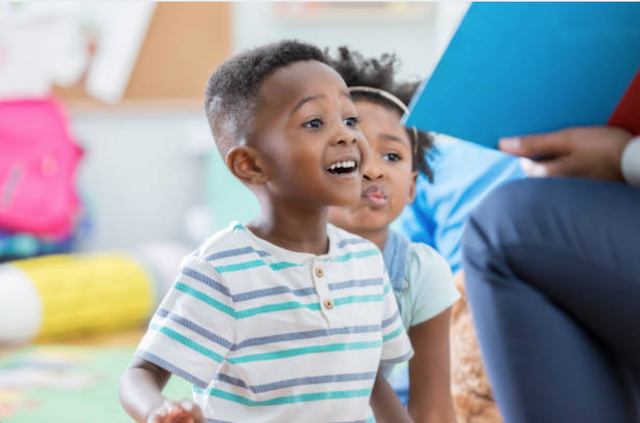 If the company you work for demands constant out-of-state and overnight travel, you will want to consider a child care center closer to your home instead of one closer to your work. The reason is similar to the issue above in that if you are out of town traveling, it will require your spouse to drive and drop off your child near your office instead of near his or hers. Do You Want Your Child Near You During the Day? Your comfort level and the comfort level of your child concerning how far away you are from them throughout the course of a work day depends on the needs of your child. If you have a long commute but don’t want your child to be 20-30 minutes away or even an hour or more, you will want to favor a daycare near your job. Is There Heavy Traffic During Your Commute? If there is heavier traffic on your commute to work, it might be best to choose a daycare near your home in order to drop off your child right away and ensure he or she doesn’t miss any part of their routine during the morning at daycare. On the other hand, if there is more traffic on your commute home from work you might want to consider a daycare closer to your job to avoid arriving late for pickup at the child care center or preschool. There are some daycares that charge a fee for pickups that occur after the designated time. This is something to consider before you choose a daycare for your son or daughter. Location is very important and you need to decide the location of the daycare you choose that is best for you, your child and your spouse and is compatible with your family’s schedules and work day. 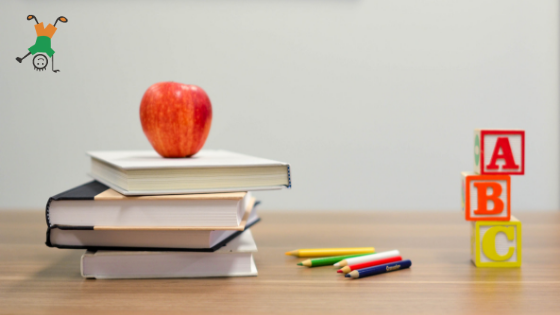 Cornerstone Academy is centrally located in Kenosha, WI at 1230 22nd Ave and is near a myriad of suburbs and neighborhoods as well as office buildings and industrial complexes to suit the needs of a variety of parents and lifestyles.